How does audience segmentation in a DMP work? 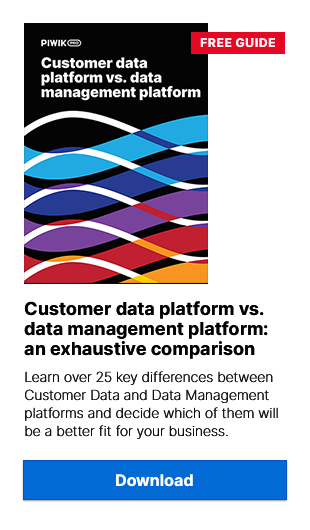 To some people a data management platform (DMP) can seem a bit boring. Maybe it’s because the term “management” is so general that it ends up sounding a bit bland, a bit too open-ended. The same could be said of “managing” a fast food restaurant or “managing” a baseball team – the word “manage” just doesn’t describe all that goes into the job. What does a person actually do when they “manage”? A DMP also suffers from this complex somewhat, because actually its “management” can mean a lot of different things. But one thing that every data management platform does is segment data. In fact, it segments a lot of data. And that’s where a DMP can start to get exciting. Why do you need to segment data into audiences? Before laying out how a DMP segments data to create audiences, it is important to understand the purpose behind it. In other words, why exactly is segmenting data such an important part of the “managing” that a DMP does? An audience segment is basically a group of persons (site visitors, app users, etc.) who have been identified (anonymously) as sharing a range of attributes (demographic, technological, behavioral and more). An audience segment is useful to advertisers and marketers (and publishers) because it allows them to cut through the mass of data available to them and break it down into “digestible bits” about potential customers, site visitors or app users. But these segments aren’t meant to just be “viewed” – they are meant to be used. More specifically, the audience segments that a DMP creates allows media-buyers (advertisers) and media-sellers (publishers) to connect to the different platforms of the programmatic advertising ecosystem (DSP, ad exchanges, etc.) and use them more effectively. a publisher can analyze site visitors and then sell inventory to media-buyers whose target segments match the publisher’s. It doesn’t happen by magic. A DMP may act as a “manager” for your data, but there has to be a human telling it what to do. That means that the segmentation process must have some business sense. How in the world is the DMP supposed to know what kind of products or services you sell, who your high-value customers are, or what kind of personalized content you want to serve? Are you selling tickets for artistic events? You may want to segment your audience by geolocation to target people living closest to the concerts or exhibitions. Does your site recommend local restaurants? You may want to set attributes based on Google keyword searches (for particular types of food). Do you run a large number of display ad campaigns? You may want to group potential customers by the ads from your brand that they have already been exposed to. Do you run an e-commerce store? You may want to group your existing customers by the size of their orders and types of the products they buy from you. While this takes some planning and analysis on the part of the DMP user, it is absolutely essential. Only after identifying what you want from the DMP can you put it to use actually segmenting data. Now we come to the nitty-gritty – the actual segmentation of data in the DMP. To do this, a DMP uses conditions (set by the user) in order to break down the vast amount of data and form the specific groups you want to target. Think of it like a special gate at the entrance to an exclusive club – when you set a condition, you are allowing some people to enter and excluding others. In addition to setting the conditions that “let people into” your audience using conditions and simple expressions (and, or, includes, does not exclude), you should also consider time when segmenting audiences. These two additional factors will go a long ways towards defining audience segment you create and its usefulness and can significantly impact the relevance and scope of the segments. Relevance – Increasing the time frame for data points to be included – for instance, longer than 30 days – can add audience members who may be less likely to convert. However, raising the frequency (at least 3 times) threshold for certain event information to be included in the segment can mean a member may be much more valuable. Scope – Similarly, lengthening the time frame and reducing the frequency will broaden the scope of the audience – which may or may not be in line with the business goal you have in mind. One final note when it comes to segmenting data with a DMP. Your audience segments will only ever be as good as the data you collect. It goes without saying that if the data sources you tie to your DMP are relatively few, you will have less data to work with. And ultimately this means less precise segmentation. If, however, you have an integrated Tag Management System (TMS) to manage and collect a wide range of online data, plus on-boarded offline data (CRM data from Salesforce, for instance) – then it is much more likely that your audiences will be actionable and useful for media-buying or whatever other purpose you may have in mind. Segmentation Methods in a DMP: Live or Fixed?